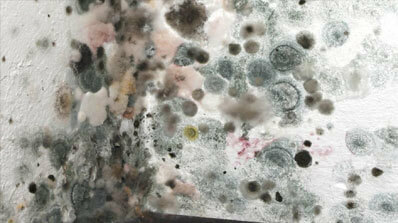 If you have visible mold in your home or office, you have a serious problem. Orange Restoration can take action to solve the problem and improve your indoor air quality for months and even years to come. Actually, most air has some mold spores in it. Those spores seem to be everywhere. But when they’re around in large quantities, they can be harmful to humans and pets, causing respiratory problems, allergic reactions and more. Mold can be especially dangerous for infants, the elderly and people who have existing immune system problems. In general, the symptoms of mold exposure can vary from person to person and can grow rapidly worse. People with heart and lung problems may be susceptible to mold-related health problems even when others exposed to the same environment don’t develop problems. Fortunately, mold remediation is possible to clean up mold infestation and improve indoor air quality. This process starts with removal of the source of the moisture that is allowing the mold to grow. Then, prevention of future mold growth is undertaken. Finally, existing mold must be cleaned up. You’ll find mold remediators that focus on all aspects of mold cleanup, including fabric restoration and restoration of the building’s structure. Mold remediation is a process that can release more mold into the air if done incorrectly, so it makes sense to leave this process to professionals. The chemicals that cause human reactions to mold exist even after the mold has died, so cleaning it away is essential. At Orange Restoration, we use proven techniques and our team’s experienced judgment to decide what San Diego mold remediation processes are best for you. You can be sure that when we handle your mold removal, your home or business will be safer, cleaner and ready for full use as quickly as possible. We are available for 24/7 emergency services. Give us a call today!